Have you ever been in a situation where you were nervous or excited and had the sensation of “butterflies” in your stomach? 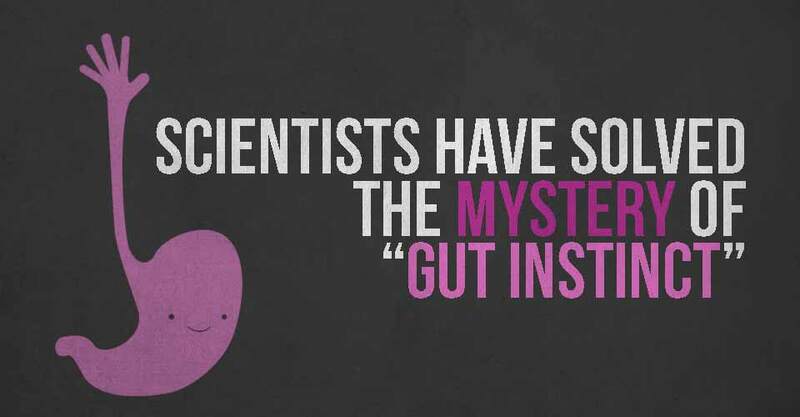 Over time, those sensations we experience during times of anxiety become “gut instincts”. When faced with a decision, as out brains process the situation we can actually feel subconscious anxiety just like we do when we are aware of what is causing us worry or excitement. Some people chalk this sensation up to intuition, but in reality the source is our vagus nerve, and the science behind this phenomenon is fascinating. The vagus nerve starts off as a two thick streams of nerves originating in the cerebellum, that then branch off to touch most major organs including the heart, stomach, and digestive organs. “Vagus” in latin means “wandering”, which is exactly what the vagus nerve does. It’s primary focus is to send information back to the brain from the organs, and for the brain to send signals to control things like digestion, heart rate, and other critical bodily functions. The vagus nerve’s network is so extensive, and controls so many functions in the body that it is often referred to as our “second brain”. Because the information from the vagus nerve works both ways, fear, anxiety, and excitement can have a physical manifestation in our bodies like a stomach ache or that “butterflies” sensation. The vagus nerve is actually what is responsible for making people faint by dropping heart rate and blood pressure in response to fright or excitement. So what happens over time is that when our bodies are subjected to stressors that cause that physical response in our guts, our “second brains” become conditioned to that response. Example: let’s say you are standing to look down a dark alley and you get a tightening sensation in your stomach. It’s not that there is actually anything to be afraid of, but because the potential for danger exists, your body reacts just like it was really in danger. Recent research done is Zurich, Switzerland is using rats to determine if conditioned fear can be “unlearned” by disrupting the vagus connection between the gut and brain. What they found was that rats without a fully functioning vagus connection showed less inane fear at things like open spaces or bright lights, but held on to learned fears much longer than rats who had a fully functional vagus connection. The importance of these findings is that researchers can attribute lingering fear responses like the ones associated with disorders like PTSD to an impaired vagus connection. The hope is that my stimulating the vagus connection, the body’s responses to conditioned fears can be “unlearned”.